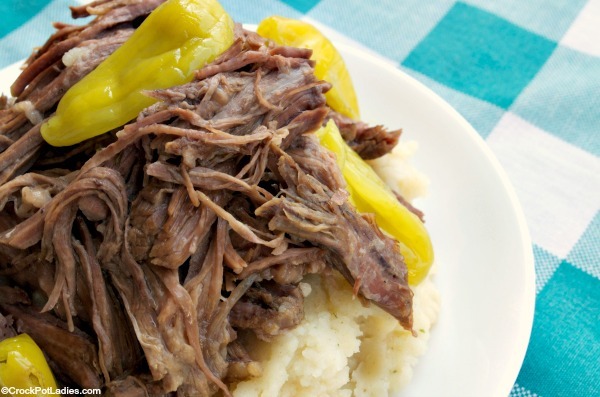 With only 3 ingredients this recipe for Crock-Pot Easy Italian Beef could not be any easier to make. 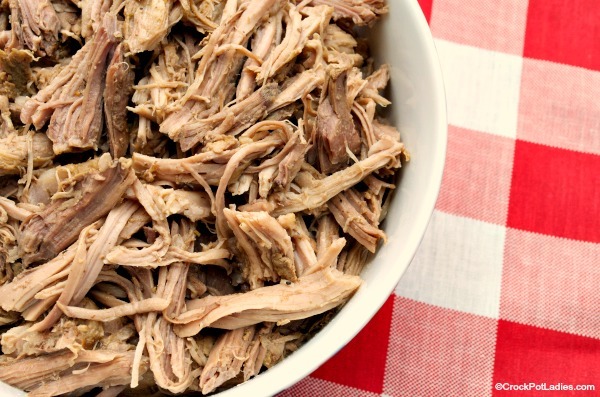 Just dump everything in the slow cooker and let it cook away all day. 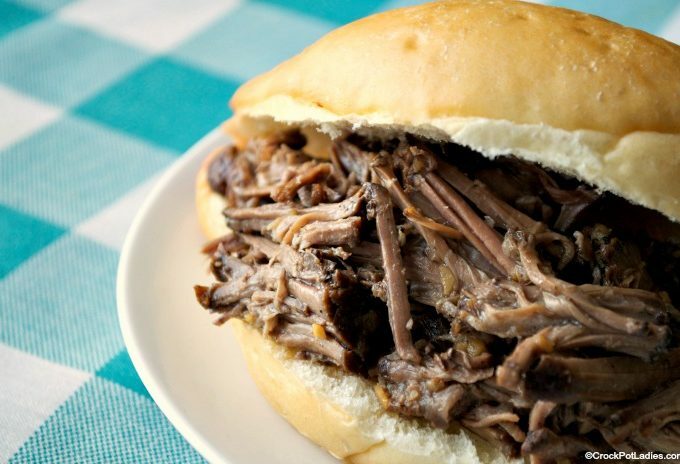 Shred the beef and serve it in buns or rolls for delicious Italian beef sandwiches that are juicy and full of flavor! 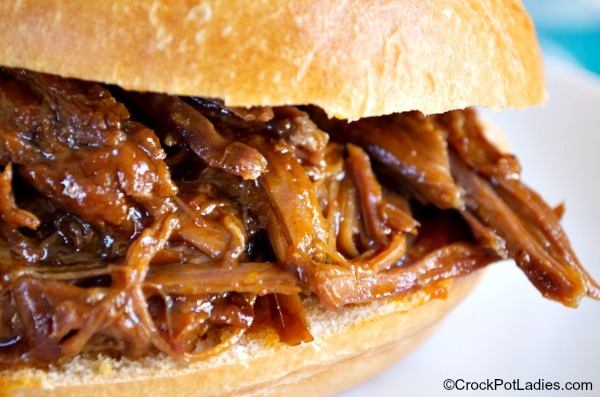 Reader Brenda S. sent us this simple 3 ingredient recipe for Crock-Pot Awesome Pot Roast. We love how easy this recipe is & the flavor really is awesome! Zesty Italian seasonings & peppers are simmered in the slow cooker with a beef roast in this easy 5 ingredient recipe for Crock-Pot Homemade Italian Beef! Just 5 Weight Watchers SmartPoints per serving too!